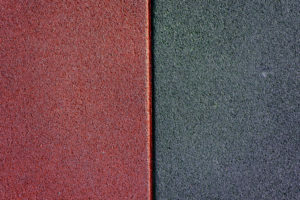 Rubber Tiles A Green Choice That’s Soft Underfoot! When it comes to flooring, sometimes hard tile is just not an option. We may need to provide safety for the ones we love. Rubber tiles are an easy way to make sure you have the safest flooring possible and best of all it’s a green product as well!